Olivia LOVES playing dress up. Last week, I stumbled across a ballerina outfit for Olivia and she hasn't stopped talking about her tutu dress since we brought it home. 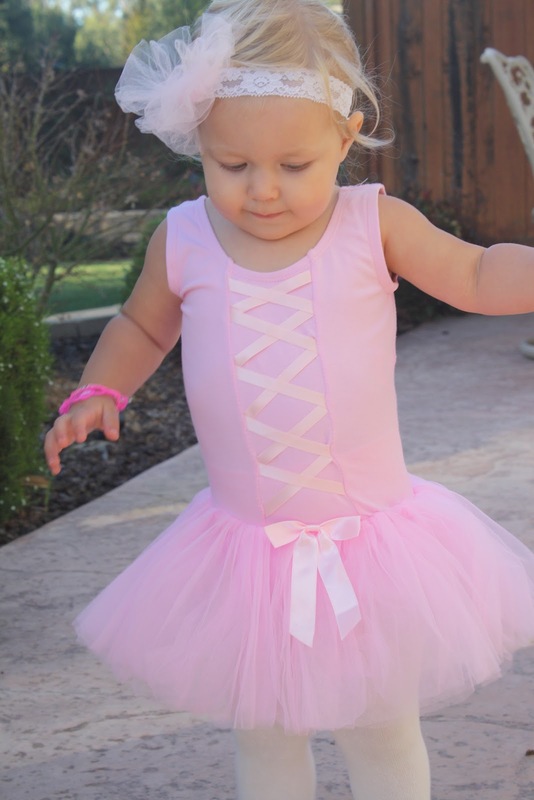 I found a pair of tights in Olivia's drawer that had little Mary Jane outlines on the feet and her beautiful bow completed the outfit. 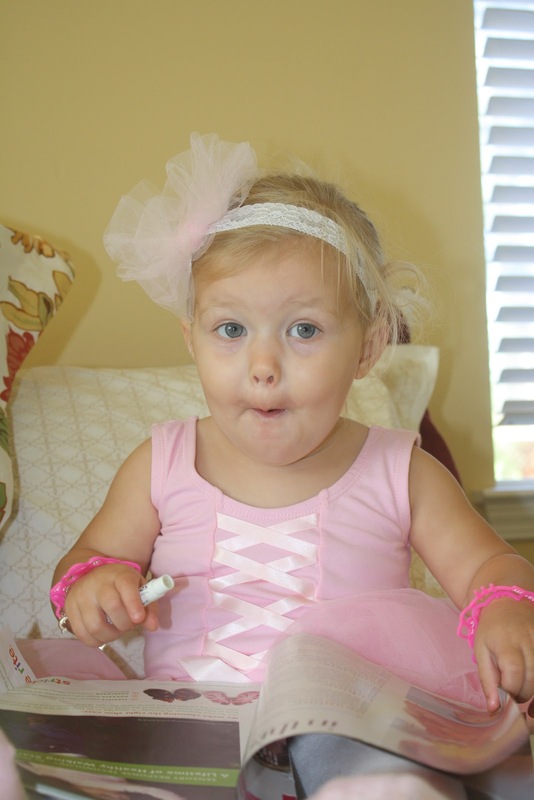 Miracle of miracles, I was able to clean the house while Olivia danced the morning away in her tutu. 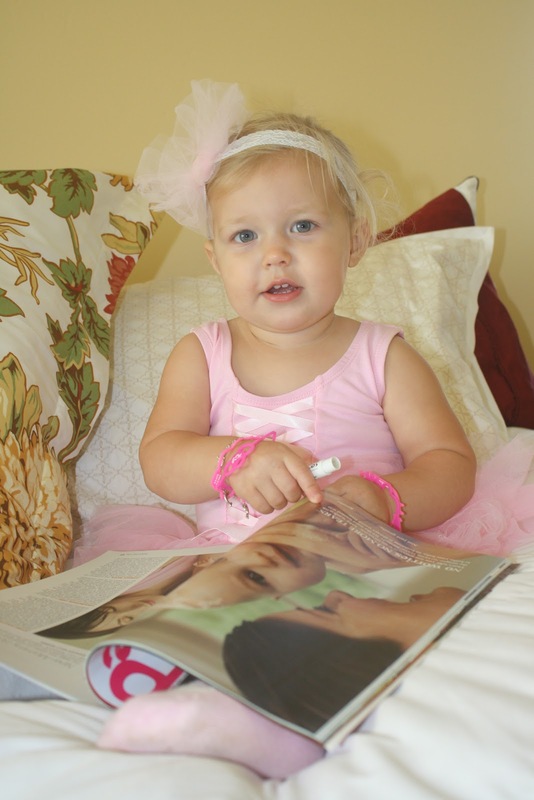 She took a little dancing break to look through one of my magazines. She loves looking at all the babies. This morning after our class, we stopped by Katie's shop to discuss our lunch date tomorrow and Olivia couldn't resist grabbing the purses to carry around and trying on some stylish 80's glasses. And, if that wasn't enough, this afternoon Olivia found her the head piece of her Halloween costume and promptly had me put it on her. 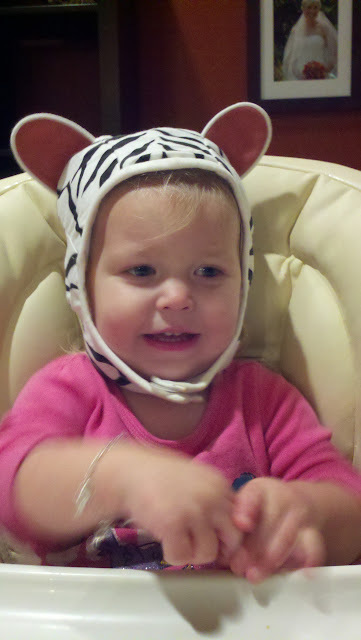 She wore it all through our shopping trip at Trader Joe's and again at her dinner. Hope you all have a wonderful weekend planned with a little bit of dressing up time in there somewhere! Funny, yep she is a girly-girl. 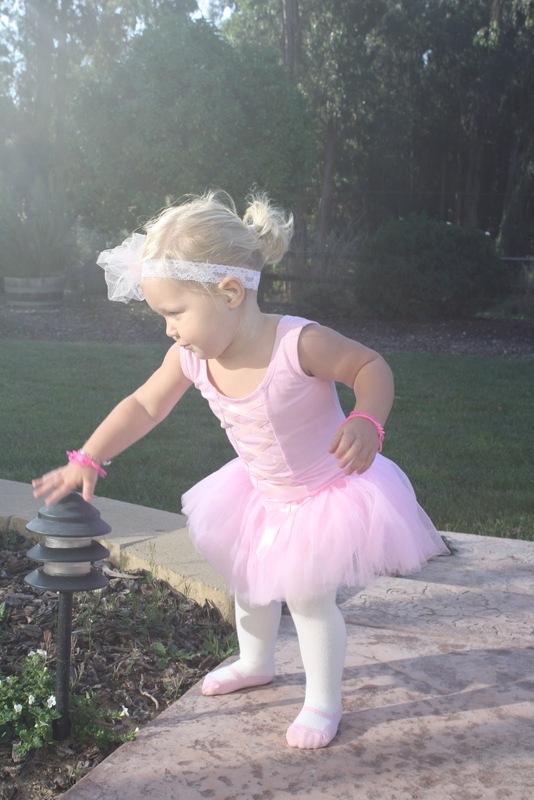 Olivia you are the most beautiful ballerina Nana has ever seen. Ditto for me too! 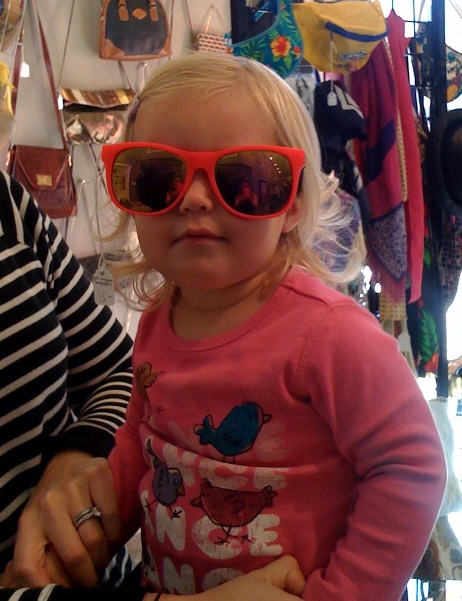 I LUV YOU OLIVIA! An actress in the making playing all that dress up!